ZX Spectrum version by David J. Anderson, with loading screen by F. David Thorpe; produced by Jon Woods. Released in 1985. Commodore 64 version: Programming by David Collier, Tony Pomfret and Bill Barna; Graphics by Tony Pomfret and David Collier; Loading screen by Stephen Wahid; Music and sound effects by Martin Galway. Released in 1986. Amstrad CPC version: Programming by J.E. Cosby and Colin Gordon; Loading Screen by C. Thornton; Graphics by Steve Calvert, Jim Bagley and Craig Houston; Music and sound effects by Jims DX. Released in 1986. It's been a long time since I did my first Stallone game comparison, so it's about time I made another one. And this one, I suspect, is one of the more expected ones, because anyone who grew up in the eighties with one of our three main competitors will very likely have played at least one version of Rambo: First Blood Part II - the first game based on the famous Rambo movie series. Some of us have been so fortunate to even having played or owned two different versions of it. The reasons for the game's relatively wide exposure could be more or less dependant on where you lived, but the truth is, Sylvester Stallone was big back then. Really big. Probably even bigger than Schwarzenegger. And the 1980's were the not only the golden age of high voltage action movies, but also the timeframe, during which big game publishing companies were born and movie licences in video and computer games were a fresh novelty. 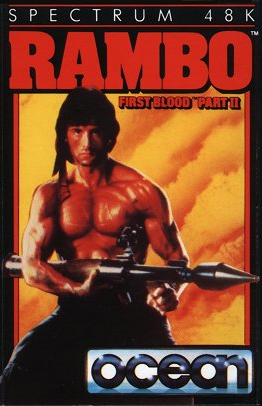 Before Rambo: First Blood Part II, I really cannot think of any bigger budget movie licence games for home computers, apart from Ghostbusters, and now was the time for publishers to spend more money on selling their products. Young gamers who idolized Stallone was an idiot-proof combination, and so Rambo proved to be one of the biggest successes of the year. Developed by Probe Software for the Amstrad CPC and ZX Spectrum: Programming by David Perry - Graphics by Nick Bruty - Additional graphics for the Spectrum version by Alan Tomkins - Music by Jason C. Brooke and David Shea - Additional sounds for the Spectrum version by David Whittaker. Converted for the Commodore 64: Programming by Grant Harrison - Graphics by Steve Crow - Title screen by Paul Docherty - Music by Jeroen Tel. Converted for the Atari ST: Programming by Tim Moore - Graphics by Nick Bruty - Music by Jason C. Brooke. Converted for the Commodore Amiga in 1989: Programming by Chris Long and Tim Moore - Graphics by A. Aquero and Alan Tomkins - Music by Kevin Collier. Converted for IBM-PC compatibles in 1989: Programming by Brian O'Shaughnessy and David McKibbin - Graphics by Alan Tomkins - Music by Jason C. Brooke. 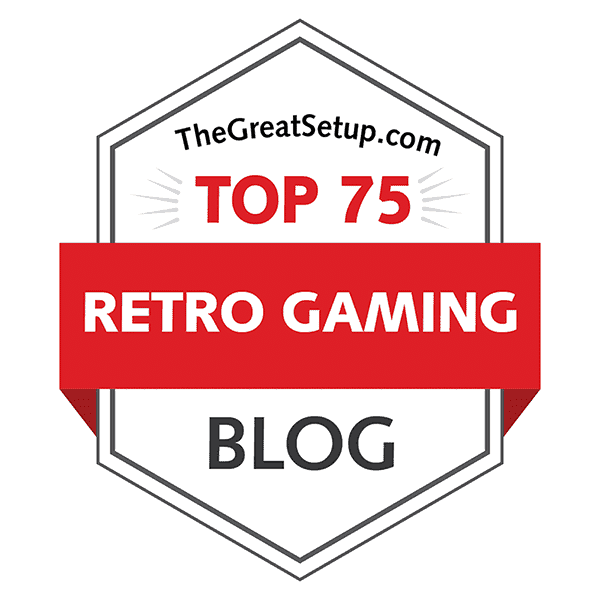 The blog is back, and we're starting this shortened month by fulfilling another request to appease the Amstrad folks. 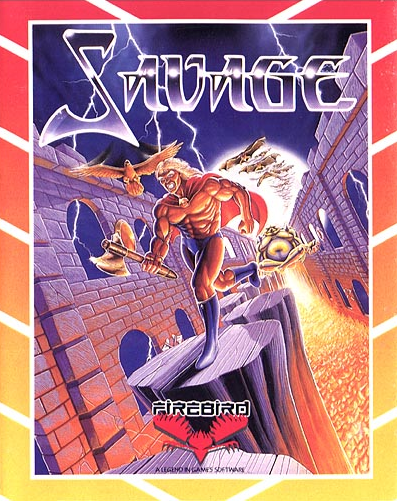 Again, we have a Probe game on our hands, and this one started its life apparently on the Amstrad, although some sources like to claim that the Spectrum was the original platform. Whatever the case, both parties seem to think well of the game. I'll be honest: I wasn't very familiar with the game beyond the first level on perhaps two versions, so I knew beforehand that I would be faced with not a little bit of work, but judging by the people that have been involved with the game on different platforms, this seemed like another potentially interesting comparison.